This little printable has been super helpful, and when the end of 2012 rolled around it was one of the first ones I printed off for the new year. 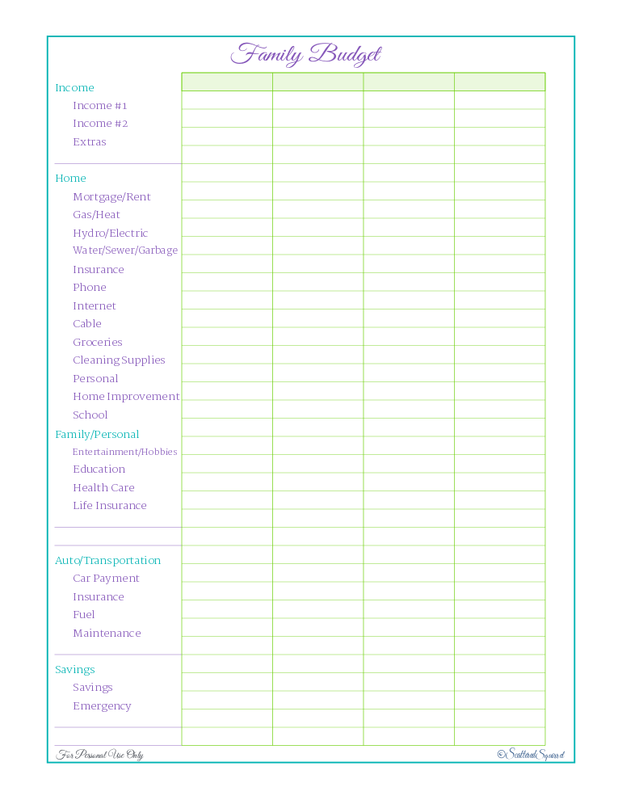 Since this one was working so well, I thought it was time to add to it, sort of take our financial planning/management to the next level. So, I created this little baby! Now, we have always had a budget, even if it wasn’t ever written on paper. We try to stick to set spending limits for most things and other things we plan and save for. This year, I want to try something new. There are four columns here. I left the top title space empty so that you could use this how you choose too. 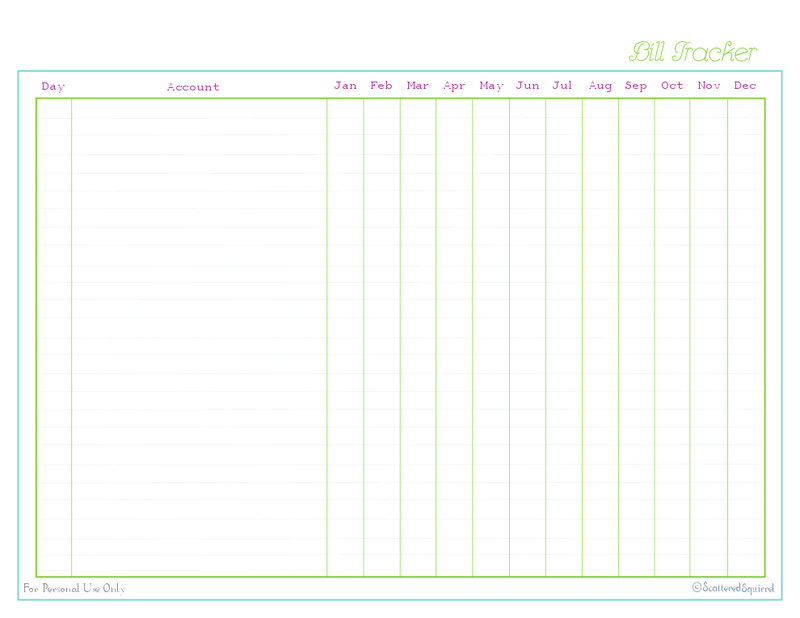 For me, I’m using this to plan our spending and to track our spending. The first column is for the first pay-day of the month. I’ll fill out the income part and then budget accordingly for that pay period. The next column is for what is actually spent. This way I can see if there are any spending trends, and maybe deduce the why of them. The third column is for the following pay-day’s budget, and the fourth is for that pay-day’s actual spending. You could use this just for a budget, with four month to a page, or for each pay-day, it really is up to you. Next up was something that has been niggling at the back of my brain for a bit. We’ve moved to paperless everything, as much as possible. But with that move I’ve notice that I need more online accounts, more passwords, user names. Without a monthly bill or statement coming in the mail, I’m searching email for account numbers when needed. It’s not often that we need some of this information, but when we do need it, I think again how annoying it is not to have an offline copy of this information. I decided to fix that. I think this one is pretty self explanatory. 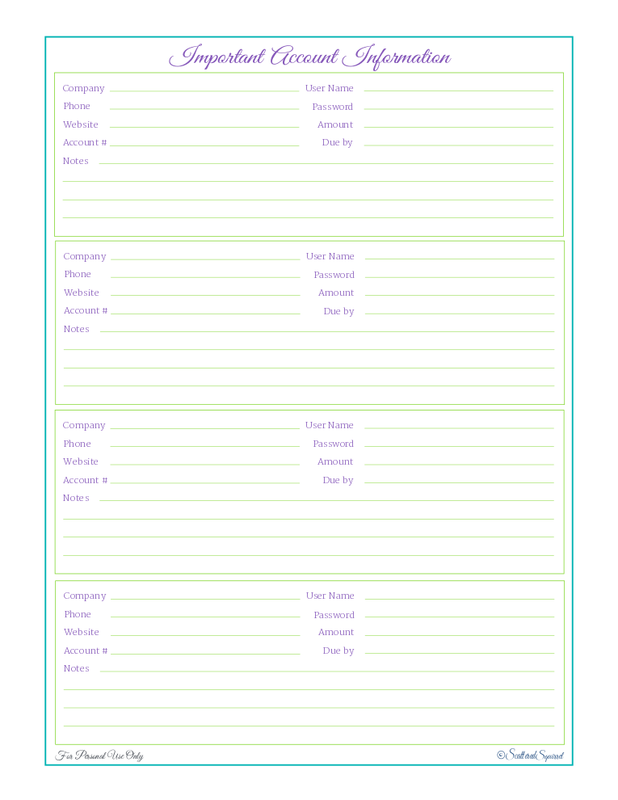 I plan to use it to keep track of all our accounts, such as hydro, gas, bank accounts. No more forgotten user name and passwords! I also included a spot to keep track of what is the typical amount we pay for each billing company and the date it’s due by every month. This is one hundred percent for reference, but I know I’ll feel better knowing that if I or Travis ever need this information, all we have to do is open up the HMB. And that pretty much sums up the financial section of my HMB. I’m sure I could take this a few steps further, and perhaps, down the road I will. For now, I think this is plenty. If there’s something you would like to see included in this section, feel free to leave a comment or send me an email with the request and I’ll try to get it whipped up for you! To grab a copy of the printables in this post, click on their images! Do you like dealing with the finances? Or would rather do almost anything else? Do you have your own tips and tricks for keep an eye on your spending? 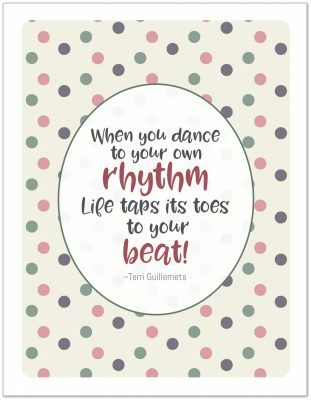 I absolutely LOVE your printables!!! I can’t afford to buy any but what you have for free is such a blessing! Thank you soooo much!!! You’re very welcome Lexy. I hope you find a few that will work for what you need. Thank you for having something that I can print out free, since I can’t afford to pay for it. this will be very helpful.